Res-Drob offers a full range of chicken products. These are products with guaranteed high quality, confirmed by continuous research results and international certificates. In addition to the standard offer in many different packages, our customers have the possibility to configure the supply according to their own product specification and type of packaging. Efficient logistics enables us to deliver the orders to the right place and always on time. Customer satisfaction is always put first. Res-Drob sells not only to the Polish and European markets, but also to countries in Africa and Asia. Currently, 50% of meat is exported to France, Germany, Great Britain, Ireland, the Czech Republic, Slovakia, Bulgaria and Romania, as well as to Vietnam, Hong Kong and the countries of central Africa. 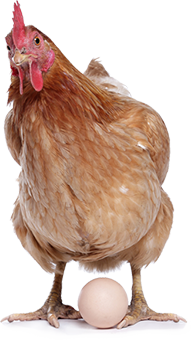 Res-Drob offers for sale poultry meat in various forms, both fresh and frozen. Processing and packaging technology allows to obtain products that satisfy the most demanding customers, delivering them to different parts of the world without losing value. The company operates since 65 years, but is still modernizing and introducing the latest processing technologies. Intensive development in the recent years is associated with the significant modernization of the slaughterhouse, which resulted in a 40% increase in annual production. Our production is based on cooperation with suppliers from the vast region of south-eastern Poland, leaders in their fieldguaranteeing the best quality raw material.This process is subject to stringent continuous monitoring from farm to fork. We know each of our farmers and guarantee that the chickens from their farms are of the highest quality.